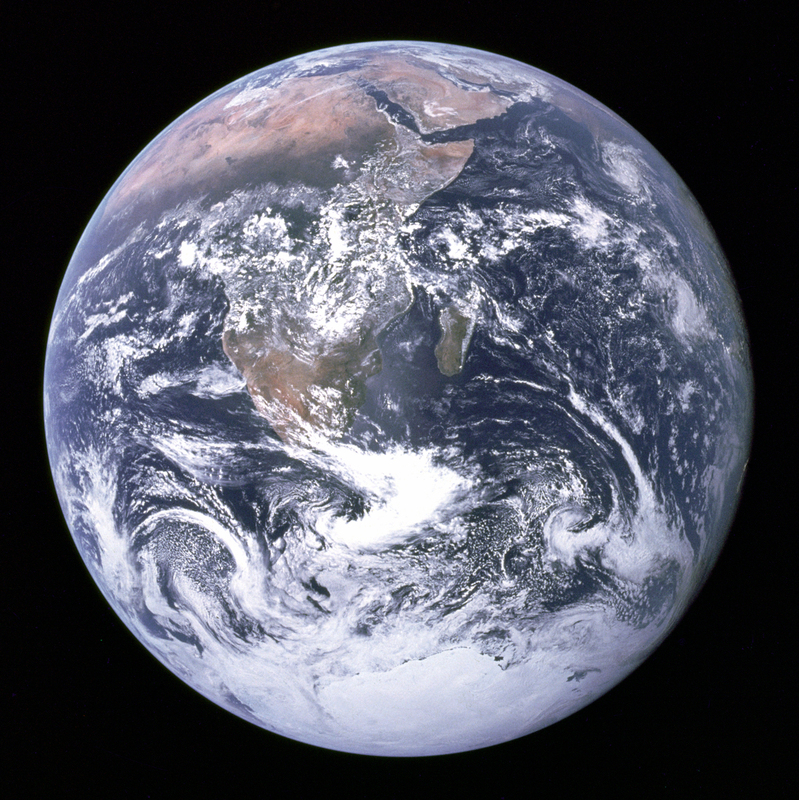 U.S. #3189a pictures the Blue Marble photo taken during Apollo 17. On December 11, 1972, Apollo 17 became the last manned NASA mission to the Moon. The final manned Saturn V launch, and the only night launch, Apollo 17 was delayed for nearly three hours due to a small technical error. 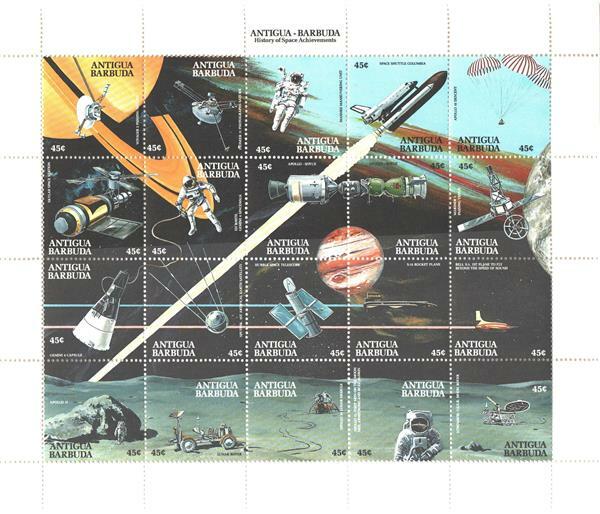 Once the problem was identified and fixed, it launched at 12:33 am on December 7, 1972. About 500,000 people watched the nighttime launch from the ground and surrounding areas. About five hours into the journey, when the ship was about 18,000 miles above the Earth, the astronauts began taking pictures of the planet with their Hasselblad camera. Among these photos was the famed Blue Marble, one of the most widely reproduced images in history. The photo shows the area between the Mediterranean Sea and Antarctica, and it was the first time an Apollo mission photographed Antarctica. The photo also captured the 1972 Tamil Nadu cyclone. 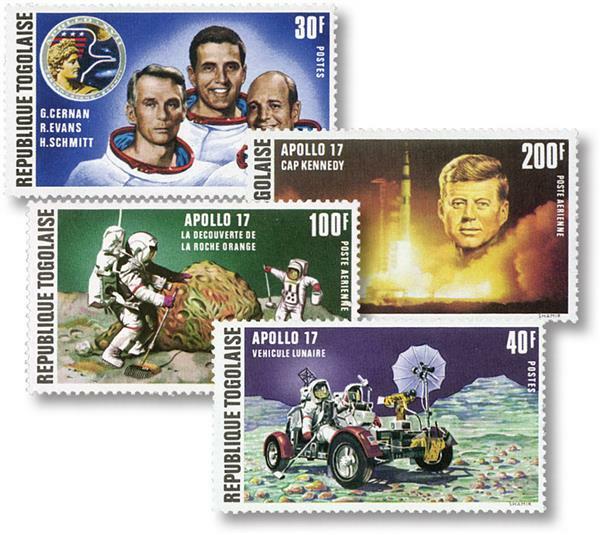 Item #M11826 – Set of four Togo stamps honoring Apollo 17. Four days later, the Lunar Module touched down on the surface of the Moon at 2:55 pm on December 11. The landing site, known as the Taurus Littrow highlands, was chosen because it had rocks that were both older and younger than those collected on previous Apollo missions. The mission’s first moonwalk occurred exactly four hours later. The astronauts then walked to Steno crater, collecting 31 pounds of samples, taking gravimeter measurements, and placing explosives that would be detonated later for testing purposes. 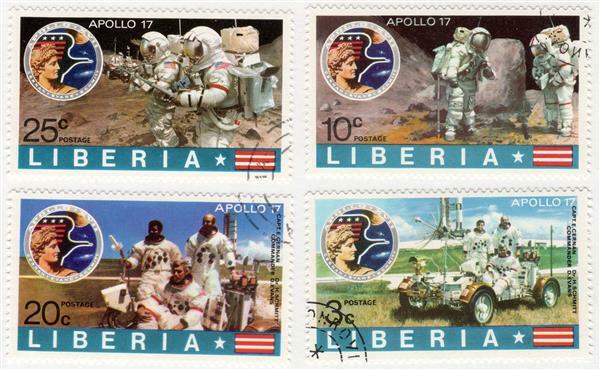 Liberia #624//28 – Set of four Liberia stamps picturing scenes from the mission. The next day was similar, collecting 75 pounds of samples, placing more explosives, and recording gravimeter measurements. The final moonwalk of the mission occurred on December 13. That day they collected 146 pounds of samples and took the rover to explore the North Massif, Sculptured Hills, and the Van Serg crater. Apollo 17 broke several records: the longest moon landing, the longest total moonwalks, the largest lunar sample, and the longest time in lunar orbit. After 12 days, Apollo 17 returned to Earth safely on December 19. Antigua #1313 pictures an Apollo 17 astronaut. Click here for more details and photos from the mission. Or click here for a neat real-time mission experience. 2 Responses to "This Day in History… December 11, 1972"
Interesting read about Apollo 17 being the last manned mission to the moon in December of 1972. Equally of interest to me, was the small fact mentioned of the ‘Blue Marble’ photo which also captured the Tamil Nadu cyclone. I was at Chennai, Tamil Nadu a month old when this occurred. 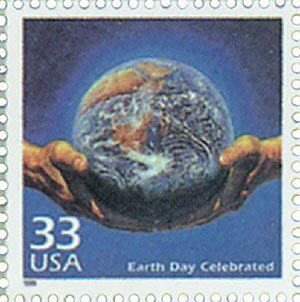 First Earth day in 1970. I was in high school.